BbbzzzzzoooOOOM: Formula 1 Grand Prix Tickets On Sale NOW! 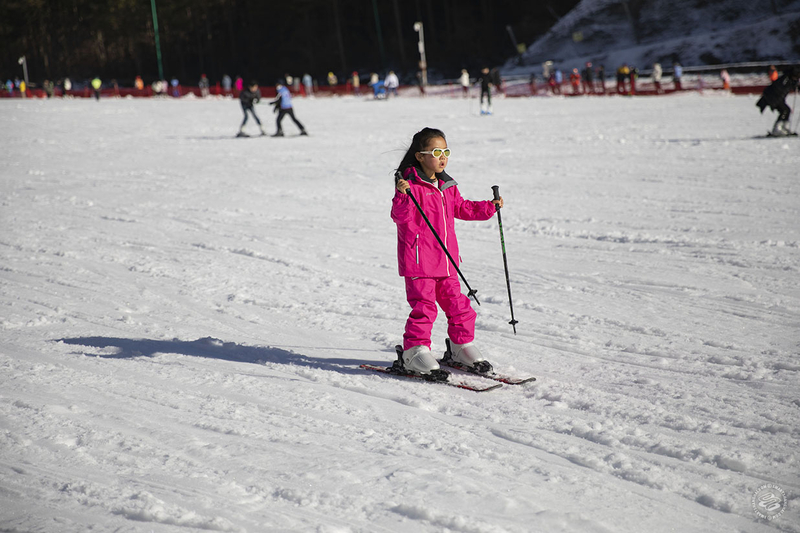 There are a lot of skiing options within a few hours travel time when you live in Shanghai. Nagano. Hokkaido. Jilin. Hangzhou. Wait – Hangzhou? Yes, Hangzhou. Sort of. 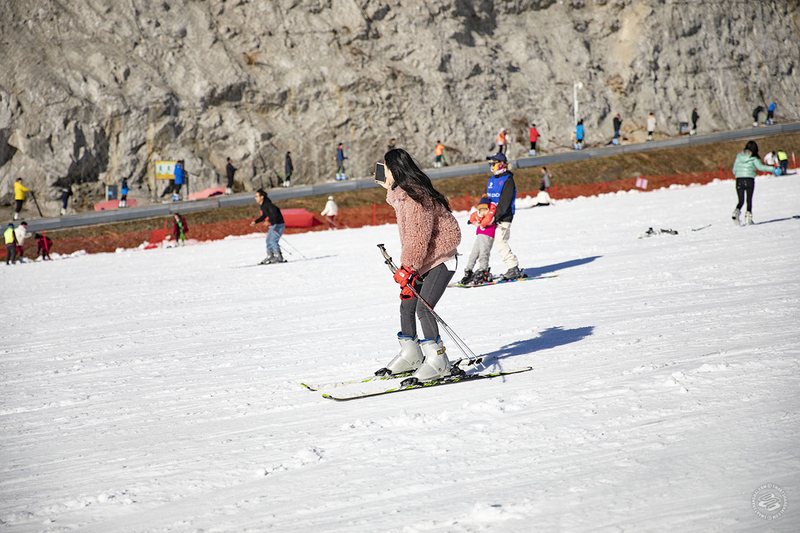 You are not exactly skiing on down the snowed-over slopes of the Longjing tea fields. 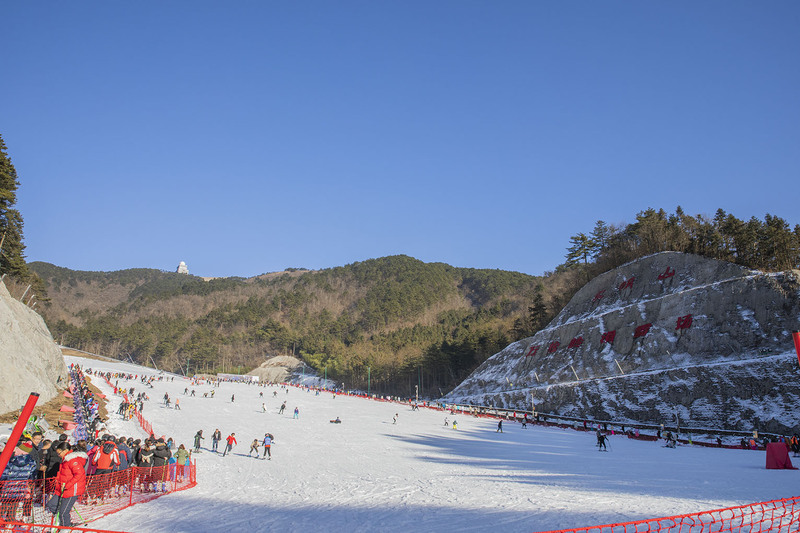 Instead, you head westward into the mountains of Lin’an, where a ski resort has been constructed on one of the larger mountains in the province, the 1,200-meter Daming Shan, the Great Bright Mountain. Desperate for some dopamine after too long in the concrete jungle, I made the odyssey (the joys of public transport) on a Friday in mid-January with two friends, schlepping from train to car to bus to cable car to get in my 10 seconds of bliss. It is a haul. I’ll explain more below. But standing atop the highest slope on Daming Shan, which admittedly is not Mont Blanc, it looked like skiing if you squinted your eyes in just the right way. 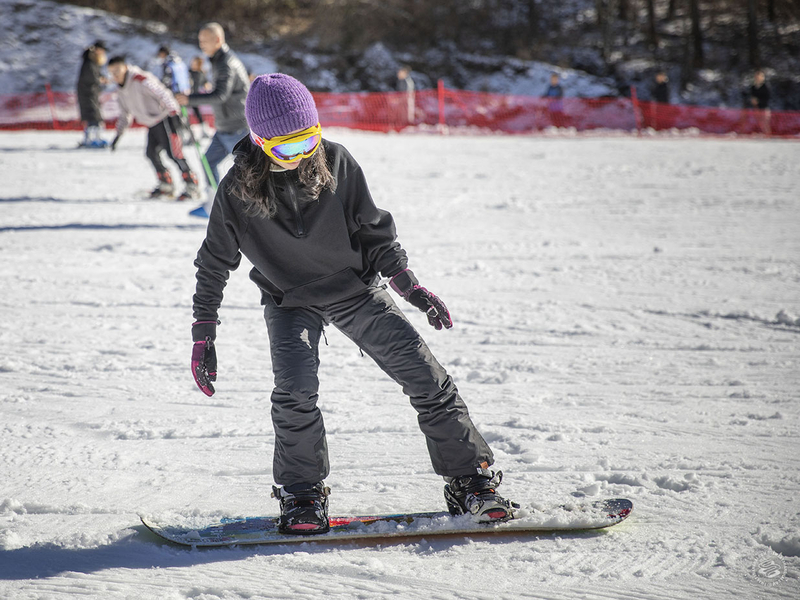 Instructors dotted the hillside, skiing backwards while they helped beginners fine-tune their snowplow form. Snowboarders were splayed on their backs post-wipeout. 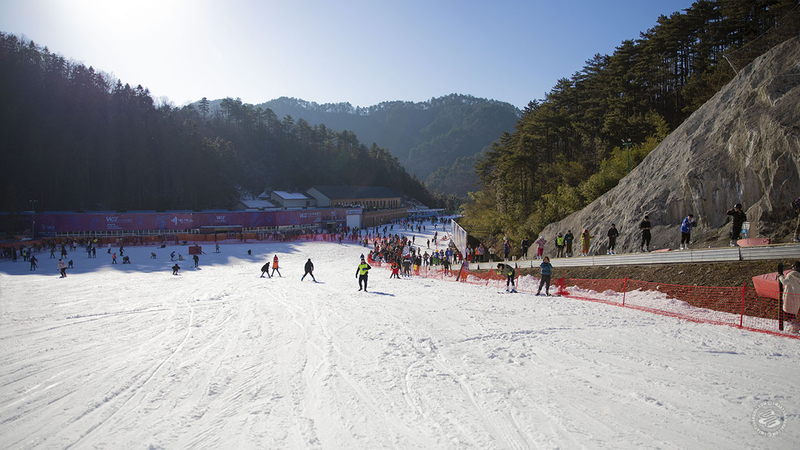 Wansongling Ski Resort is the largest in Eastern China, which, on closer inspection, may not be saying much. 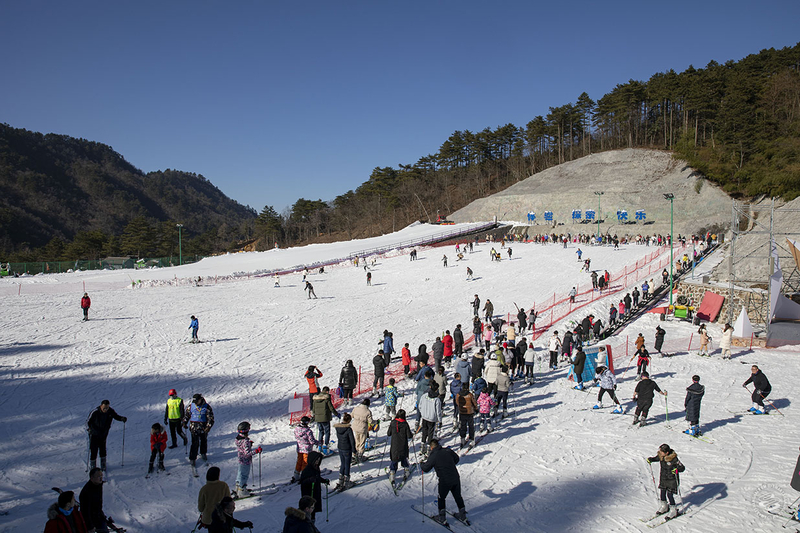 Apart from the 50-meter beginner slope, there's a 200-meter "intermediate" run, and a longer 400-meter run, though that was closed when I went. The mountain does get snow, but not enough to reliably cover the resort all season. The very, very gradual incline plays host to a range of skill levels: a handful of pros who presumably can't find time to fly to Jilin or Japan, but mostly flailing beginners, some barreling down the hill to an abrupt halt entangled in an orange mesh fence, others opting for the ‘tactical wipeout’ before the crash mats. No wipeouts for me. I was about to shred some slopes with the sun on my face and it was going to be special. I pushed off, picked up speed, and as is the case with every first run of a ski trip, all the stresses of city life melted away. For about 10 seconds, life was awesome. Keen skiers will get frustrated here. 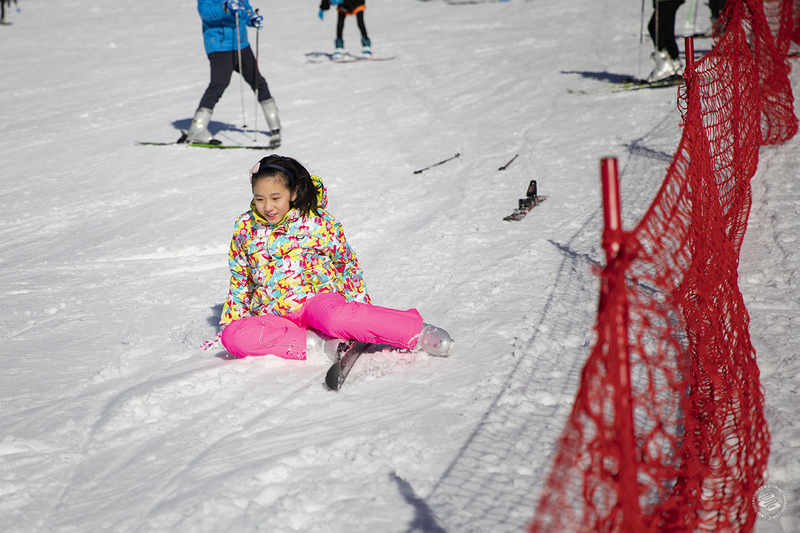 The ten-second run/ten-minute conveyor belt cycle gets old fast, and the long journey from Shanghai means day-trippers will only have a few hours in the snow. However, Daming Mountain caters well to beginners. If you are looking to learn, or if you want to teach someone who has never been before, this place will do a job for you. 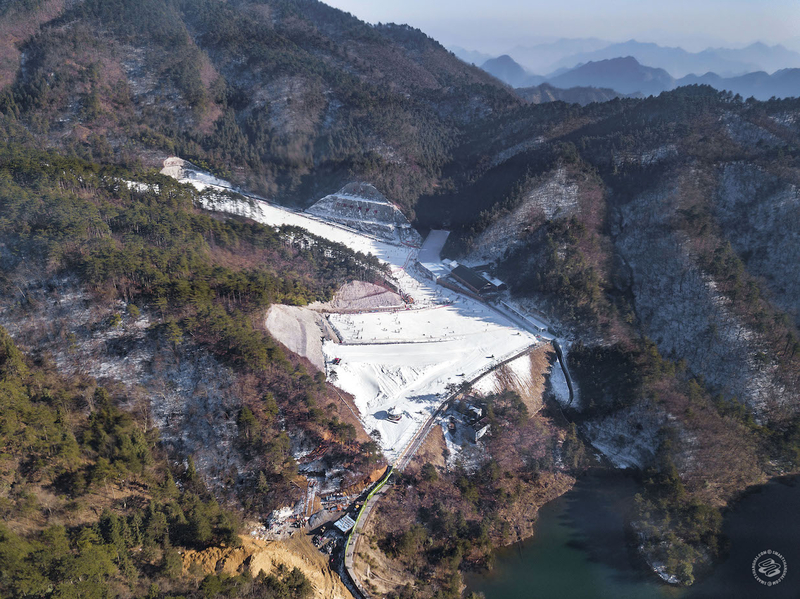 Though the title of "biggest in East China" may be misleading, there is no denying that the alpine landscape and some snow down your shirt is a welcome relief when you’ve been surrounded by grey for months. Do not go on a holiday. Avoid going on a weekend. Do not try to do it in a single day like I did. 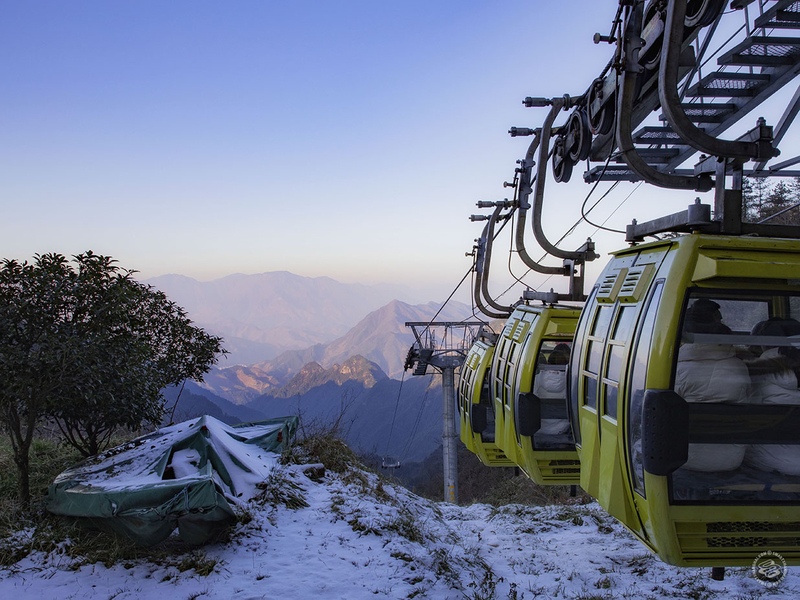 From Shanghai to Daming Mountain, you take a train, a car, a bus and finally a cable car. It'll take you about five hours. 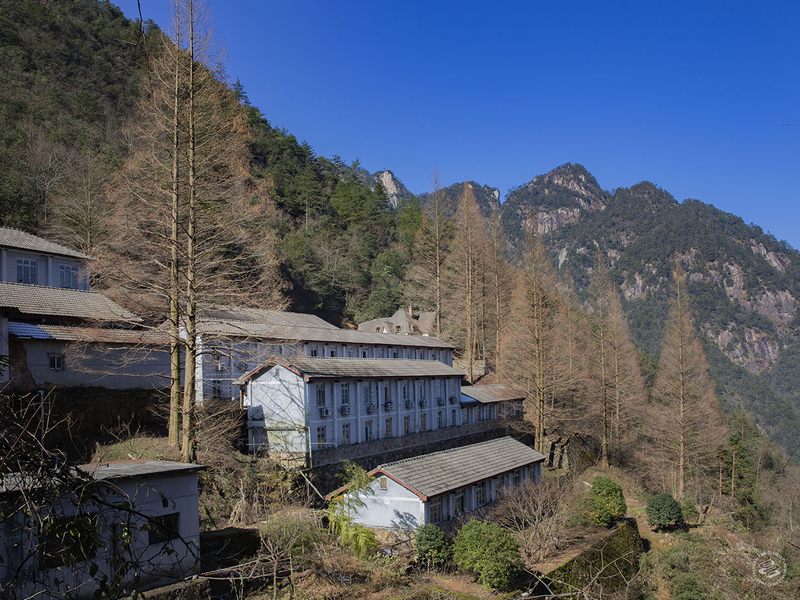 The 7am train from Shanghai Hongqiao to Hangzhou East takes about an hour, and from there it’s a 2.5 hour taxi to the entrance of the Daming Shan Scenic Area (about 600rmb), including highway tolls, negotiated with a taxi driver at the train station. Didi is about the same price. This is the road up towards the bus station and ticket office. 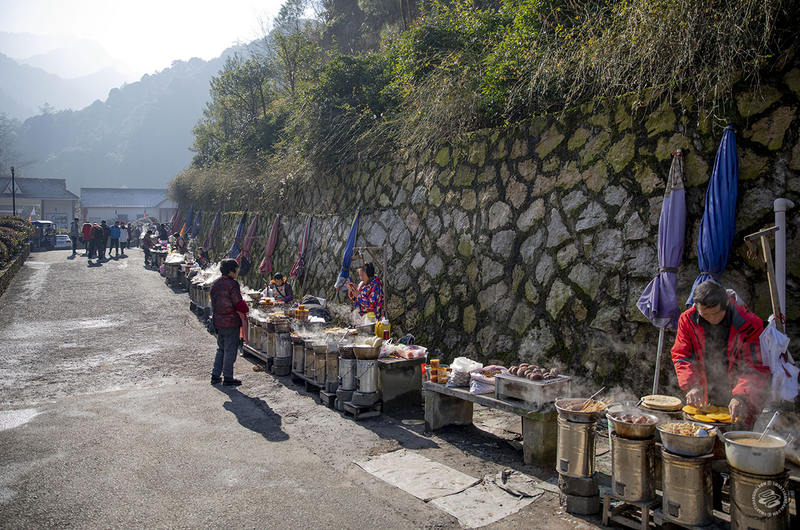 If you fancy trying exactly the same snacks from about 15 different sellers, you're sorted. 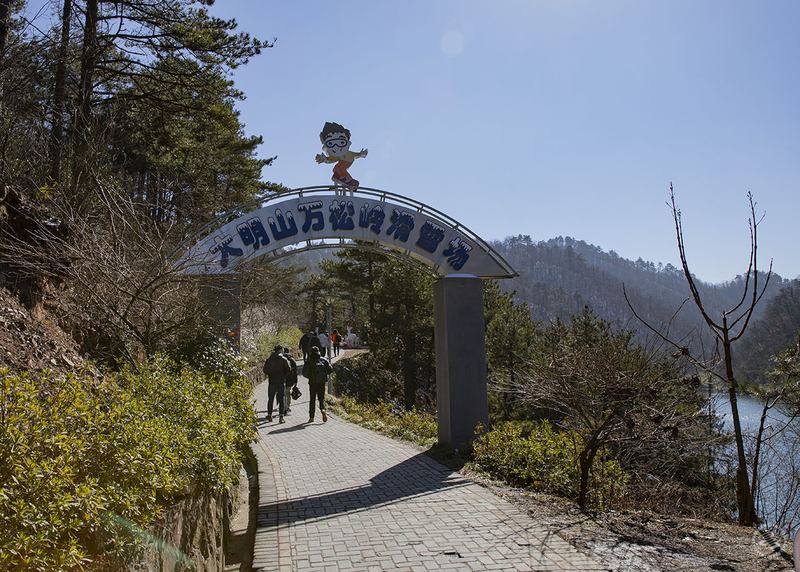 From the ticket office, where you'll buy your park entry and bus ticket (cable car ticket purchased separately), it’s a harrowing 15-minute bus ride up narrow mountain roads, and then a 10-minute cable car to the top. The queues can be substantial, though on a weekday they only took between 15-30 minutes. The view at the top isn't bad. 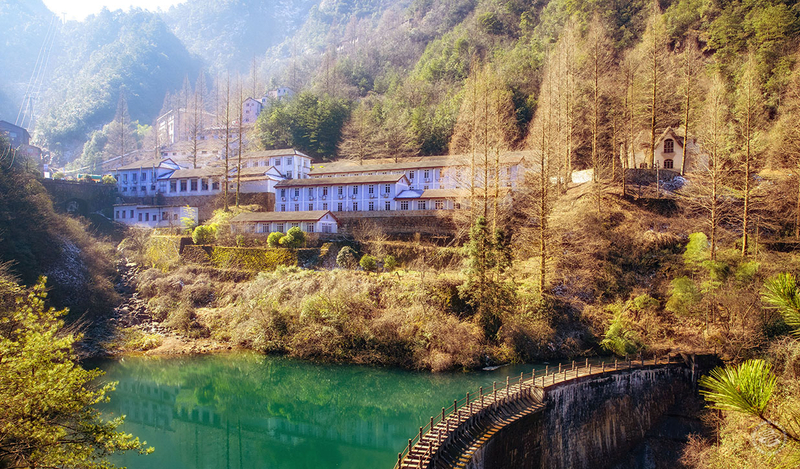 Entrance fee, the bus ride and the cable car will cost you nearly 200rmb. 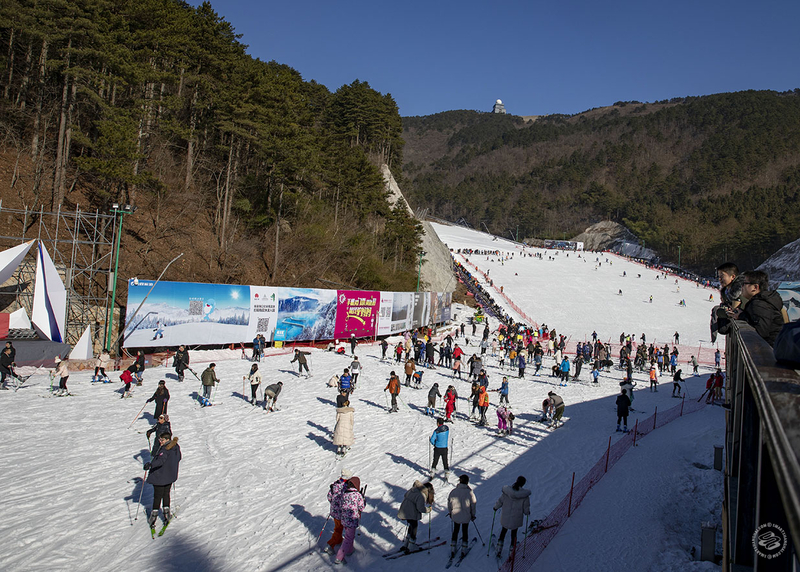 One hour on the slope costs 150rmb on a weekday, 220rmb on weekends, and 260rmb on a National Holiday. It adds up. 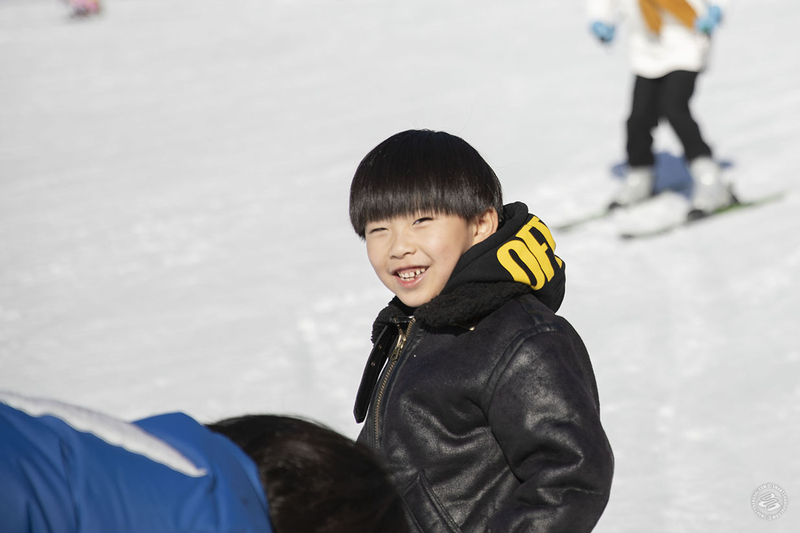 Instead, Meituan has a weekend deal on park entry tickets, equipment, and three hours on the slopes for 223rmb. 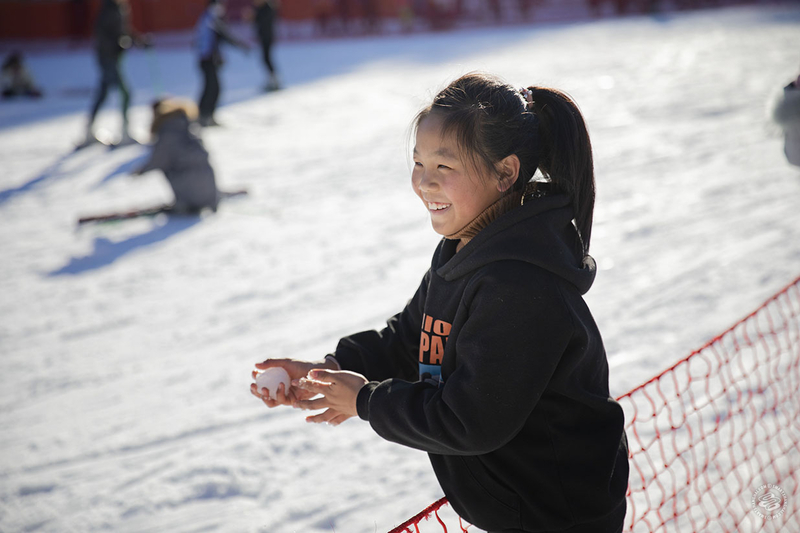 On a weekday, you can get park entry, equipment and unlimited time on the slopes for 149rmb. This leaves you paying only transport on the day, and will save you a wedge. 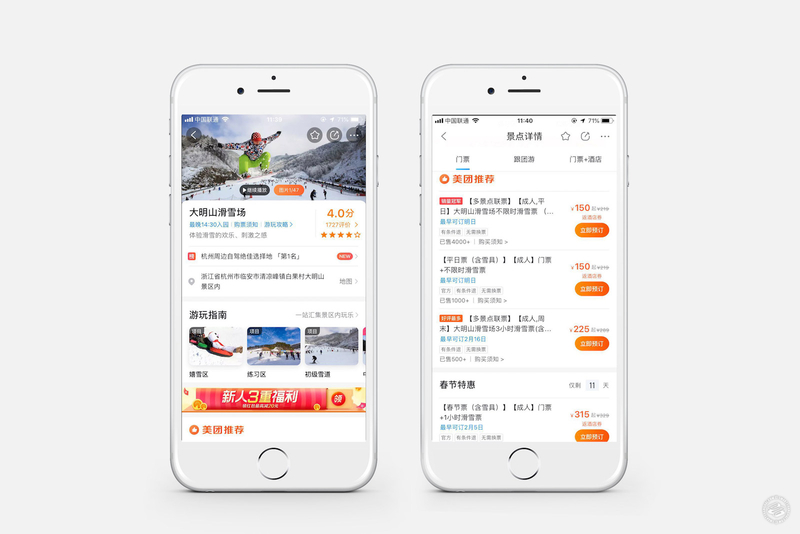 You must purchase the Meituan deal the day before via the Meituan app. 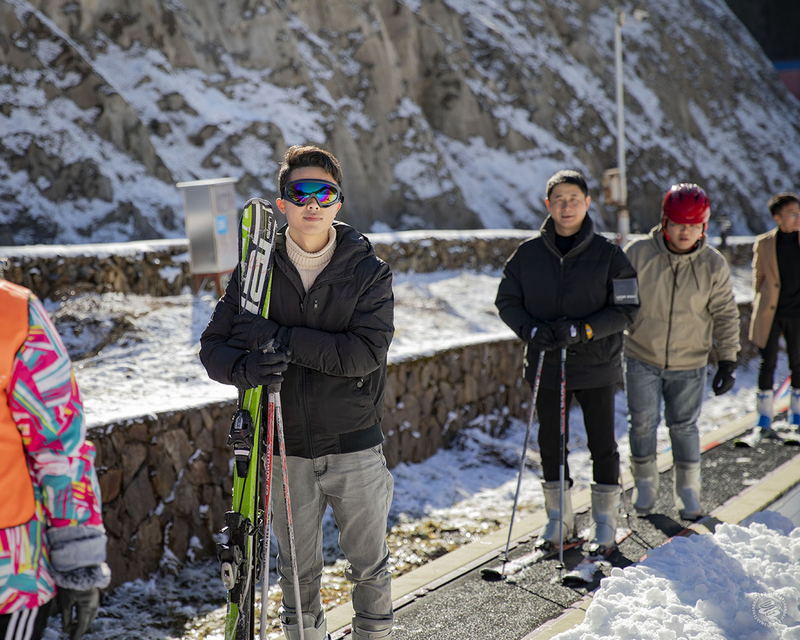 The skiing area is a short walk from the cable car’s point of disembarkation. 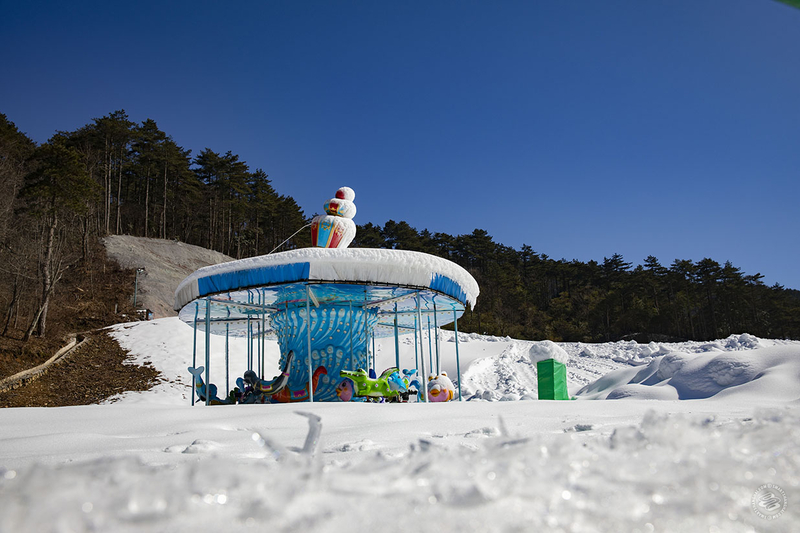 Your first hint of snow is accompanied by this abandoned, presumably cursed, carousel. This process will be harder, but not impossible, if you don't speak Mandarin, but you'll end up at a kiosk, paying a deposit of 500rmb and receiving an electronic bracelet. If you didn't get the Meituan deal (get the Meituan deal! ), they'll take the fee out of this 500rmb deposit. The e-bracelet will be used to get your gear. 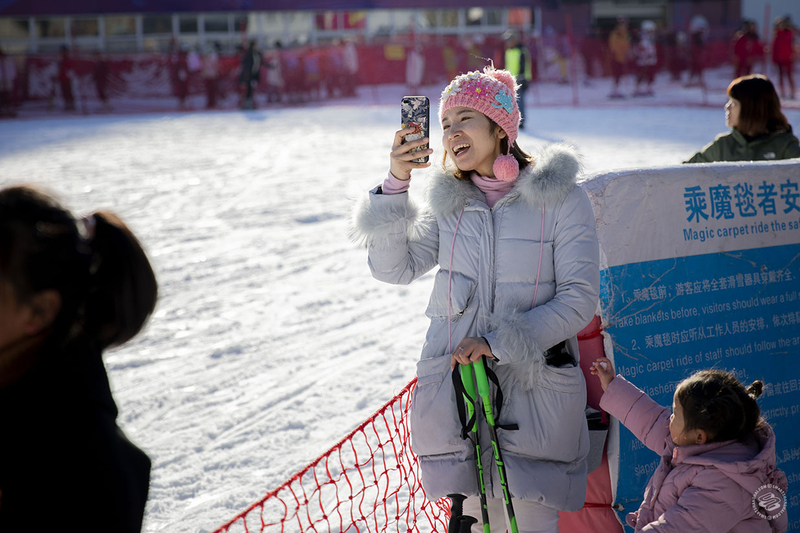 If you like, you can collect snow clothing such as thick jackets, gloves, goggles and helmets, which could save you bringing your own gear all the way from Shanghai. Lockers are for rent. We just kept our valuables in our rucksacks and promised not to fall. Our shoes went on the floor with the dozens of other pairs belonging to people who didn’t want to fork out for a locker. Equipment (boots, skis and snowboards) is included in the price. 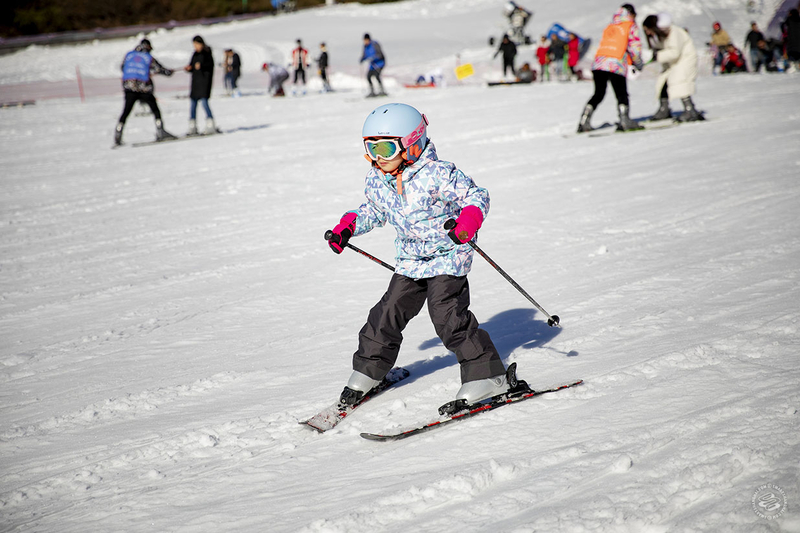 Ski boot sizes go up to 47, but board shoes stop at 44. Quality will vary. The straps on some snowboards are in deplorable condition and the bindings on the skis seem to be one-size-fits-all, which means any awkward movement/pressure and they will pop off. You'll see a lot of rogue skis on the slope. But they work. If you need one, instructors cost 200rmb for an hour. Just find one and ask. When you’re done for the day and ready for a Tsing Tao, the second floor of the ski lodge has a cafe and a kitchen. Standard Western grub is available. 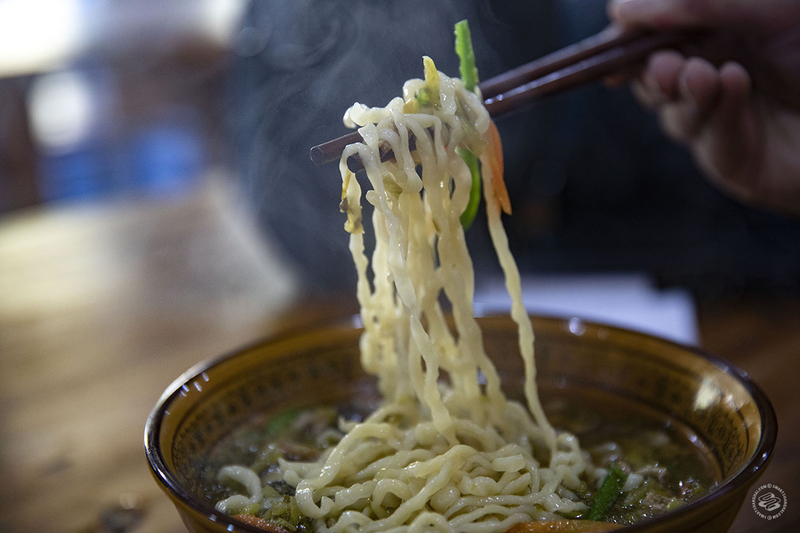 Opt for the tasty hand-pulled noodles instead. The journey back is exactly the same but in reverse. In our case, it took longer due to the lack of taxis running from the Scenic Area entrance, and the fact we missed the last chartered bus to Hangzhou at about 5pm. We found a bao'an and yelled "Hangzhou" until he put us on a two-hour series of buses to a town called Changhua, where there were taxis to be had. These buses are public and mostly only take cash, and everyone we met on them was helpful, sympathetic and friendly. 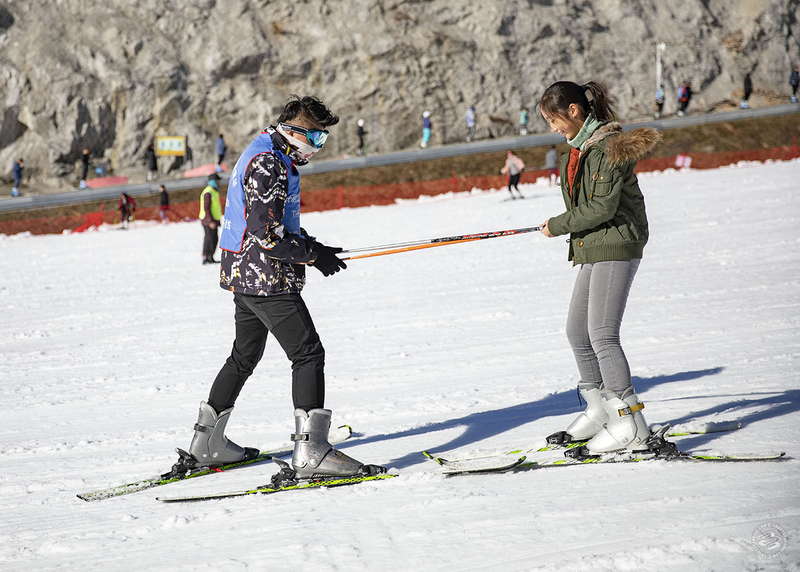 The whole trip, from the moment you board at Hongqiao Railway Station to your first taste of snow, is long. Expect the same, if not longer going back. I did it in a day, but wouldn't recommend it: there are hostels at the foot of the Scenic Area. 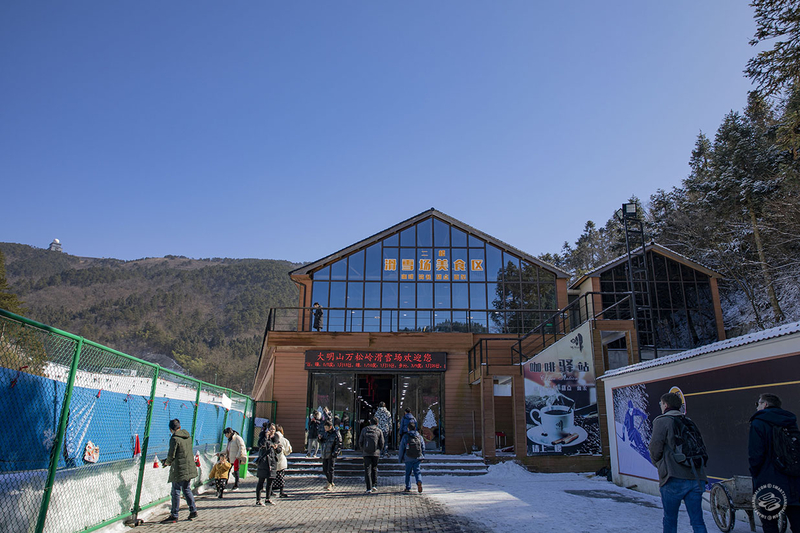 Some even have access to hot springs, such as the Lin’an Tuankou Zhong'an Radon Hotspring Resort. Go on. Make it a getaway. I believe (although have not tried yet) that there are direct buses that take 3 hours from either Hongkou Stadium, or the long distance bus stations.